One thing is certain—skeptics don’t always ask the same questions, and in today’s skeptical culture, common questions are on the rise. Picking up where volume 1 left off, this second volume contains answers to more than 30 questions on creation/evolution and the Bible that can be read in any order. More than 30 answers to big questions! People complain about The New Answers Book. They say that it’s so good at giving short, substantive answers that they want more. Well, we listened! In The New Answers Book 2 you’ll find 31 more great answers to big questions for the Christian life. Many view the original New Answers Book as an essential tool for modern discipleship. Both of these books answer such questions as: Can natural processes explain the origin of life? Can creationists be real scientists? Where did Cain get his wife? Is evolution a religion? and more! Since it was originally compiled more than 20 years ago, and later expanded in three major updates, The Answers Book has been a top-seller among modern apologetic works. It was a book born out of need. “As I traveled and spoke,” says Ken Ham, “I was constantly asked the same important questions everywhere I went. Christians needed a book with concise answers.” Working with associates at the ministry he co-founded in Australia, Ken created a book that answered the top questions about creation/evolution—written in a style laymen could easily understand. The last revised and expanded book was produced in the late 1990s. One thing is certain—skeptics don’t always ask the same questions, and in today’s skeptical culture, common questions pertaining to the Bible, creation, and evolution are on the rise. As a result, numerous experts were again commissioned to create entirely new books with answers to more questions than ever. The New Answers Book (volume 1) was written in 2006, answering 27 of these often-asked questions. Limiting the number of questions to 27 in the first volume was a difficult task, especially since there were plenty of other common questions that Christians receive—primarily while witnessing to non-Christians. 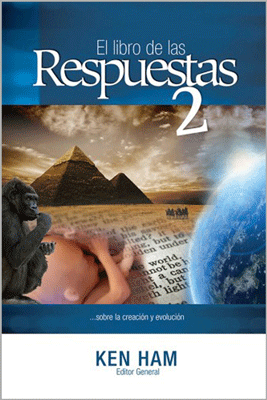 Because we want Christians to witness effectively, we put together The New Answers Book 2. It picks up where The New Answers Book 1 left off. This new volume combines chapters from the book War of the Worldviews, and nearly 20 more of today’s most oft-repeated questions. Volume 2 is an excellent complement to the first book, answering over 30 questions in total. 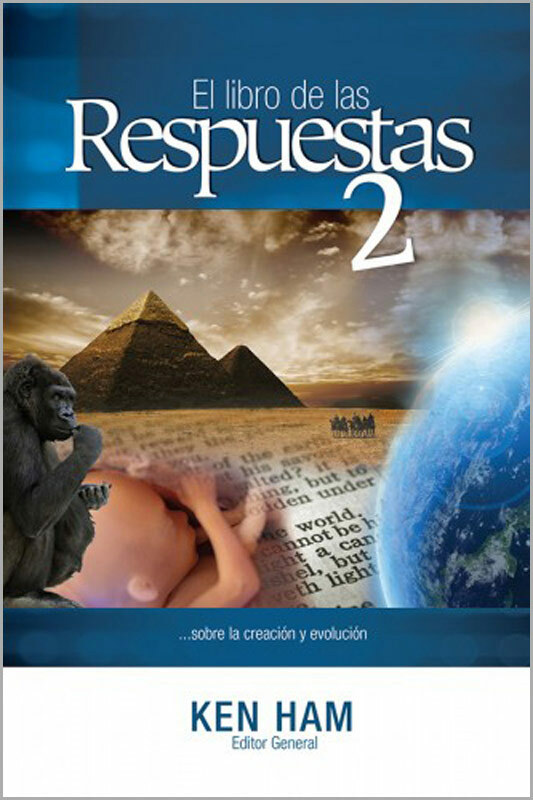 The New Answers Book 2 is designed to give lay Christians answers to false worldviews such as evolution and millions of years that pervade today’s culture! Like The New Answers Book 1, each chapter in volume 2 is a “stand alone” allowing them to be read in any order. The New Answers Book 2 (as well as volume 1) is a must-have addition to any library and essential to have answers to this skeptical age! Can Natural Processes Explain the Origin of Life? Are Mutations Part of the “Engine” of Evolution? Did Humans Really Evolve from Apelike Creatures? Does the Bible Say Anything about Astronomy? Does the Big Bang Fit with the Bible? Where Did the Idea of “Millions of Years” Come From? What’s Wrong with Progressive Creation? Is the Intelligent Design Movement Christian? Can Creationists Be “Real” Scientists? How Should a Christian Respond to “Gay Marriage”? What’s the Best “Proof ” of Creation? What Is a Biblical Worldview? What Was the Christmas Star? Are There Gaps in the Genesis Geneologies? Information: Evidence for a Creator? Aren’t Millions of Years Required for Geological Processes? Doesn’t Egyptian Chronology Prove That the Bible Is Unreliable? What about Satan and the Origin of Evil? Why Is the Scopes Trial Significant? Isn’t the Bible Full of Contradictions? Do Creationists Believe in “Weird” Physics like Relativity, Quantum Mechanics, and String Theory? Doesn’t the Order of Fossils in the Rock Record Favour Long Ages?